How I increased my revenue by over 477% and grew from $20,000 to over $117,000 annually in just 2 years. The first year I ran my music business full-time I made only $20,000. Some of you may be thinking that’s not half bad for being an independent in the music business, and you’re partially right, but there was so much room for growth! However, growth doesn’t happen by accident or chance. To grow my music business to over $117,000 annually in just 2 years, it took countless hours of marketing strategy, trial and error, product innovation, and expanding my thinking on what it looks like to run a music business. (And unlike some other “music gurus” out there I actually sell my own music, products, and services, not just courses!) I can’t guarantee you’ll make 6-figures, but I’m confident you can learn from my mistakes and successes and end up completely changing the course of your music career with this information. Take a free peak inside with the video below! 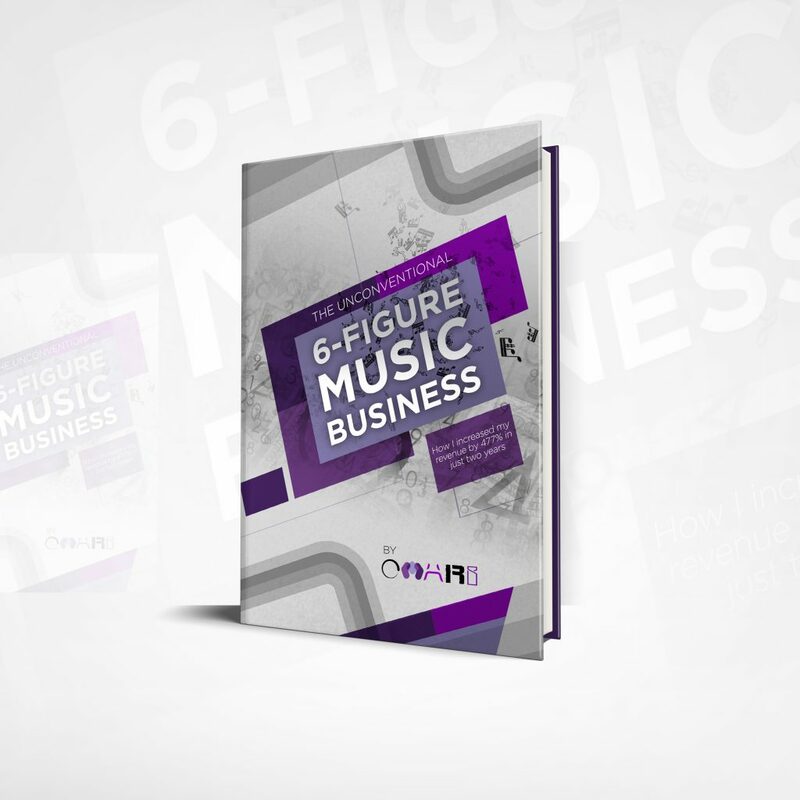 How did I earn 6 figures in annual revenue for my music business? How did I find out what products my listeners want to buy in the first place? How did I create the perfect music products people want to buy? How did I sell my music products in a way where people will actually want to buy them? How did I get highly targeted traffic to my sales pages? How did I gain the optimal number of email subscribers? How did I get Google to work for me on autopilot? How did I get over 313,525 targeted visitors from Twitter? How did I successfully navigate Facebook free and paid advertising? How did I master SoundCloud and Spotify networking? How did I build my website without learning how to code? This course is packed with 11 chapters (131 pages) of pure content. And if you're not a reader, you're free to listen to the audiobook at your leisure. But instead of the length of the book or the amount of words in it, I want to highlight the quality of the content. I'm a straight shooter. I didn't want one word of content that wasn't highly necessary in the book just to make it longer. You'll get the most information in the shortest amount of time so you can get started building your own music business! How Is This Different From Other Ebooks Out There? Fair question. This boook is different primarily because I don't make the bulk of my money off of selling ebooks and courses. A lot of other entrepreneurs run a business solely off of teaching others how to run a business. I actually sell my other products extremely well (promotion, instrumentals, advertising space, other music related affiliate products). Also, I'm not a one trick advertising pony. Facebook advertising is all you'll hear about with some entrepreneurs. I'll run you through SEO, Facebook, Twitter, SoundCloud, Spotify and more. This depends on your situation. This book is not for people who just want to hear an audiobook, try something once, then conclude it doesn't work. This does take implementation. It's not a get-rich-quick scheme. However, since you'll know what's worked for me, this can seriously speed up results for your music business too. Screenshot Of Just PayPal Earnings (Doesn't Include Google Adsense or Various Other Music Affiliate Income)! I can't guarantee you'll have the same success, but I can tell you you'll learn a ton of new material you can implement right away. 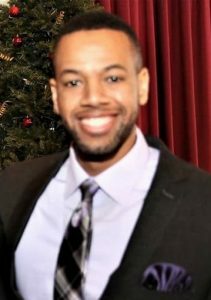 Nathaniel (Omari) Moore is first and foremost a dedicated follower of Jesus Christ. One may ask what that has to do with this book or his music business. The answer is… well, everything! Many facets of his business would not be as they are without that central dedication. As far as business goes, he is a professional music producer and blogger currently residing in Atlanta, GA. He began creating his catalog at the young age of 14 in Pittsburgh, PA. His instrumentals have accrued over 6,000,000 hits to date and continue to grow! He’s sold thousands of beats and instrumentals to indie artists, companies, and TV networks across the world: including Centric, Vh1, and All Def Digital. Apart from production, he runs a number of growing music blogs and sites such as Add This Music and Soundcloudfollowers.org. He’s ranked atop Google for hundreds of different notable keywords like ‘best music promotion’. His main site, www.omarimc.com, has acquired over 1 Million unique visitors and almost 1.5 Million visits! With hundreds of thousands of followers on social media and over 65,000 email subscribers, musicians and music lovers alike are getting more and more familiar with the Omari brand! You can find out more and follow his social networks at www.omarimc.com. This book is based on how I built my own music business. I sell instrumentals, promotion, music related affiliate products, advertising space, drum kits, sounds, and more. The goal of this is to get music creatives to realize they can't build a business on a single product. This is for artists, producers, engineers, session musicians, vocalists, songwriters, and anyone who wants to run their music business full-time with hard work, effort, and strategy. This depends on your situation. This book is not for people who just want to listen to an audiobook, try something once, then conclude it doesn't work. This does take implementation. It's not a get-rich-quick scheme. However, since you'll know what's worked for me, this can seriously speed up results for your music business too. Fair question. This boook is different primarily because I don't make the bulk of my money off of selling ebooks and courses. A lot of other entrepreneurs run a business solely off of teaching others how to run a business. I actually sell my other products extremely well (promotion, instrumentals, advertising space, other music related affiliate products). Also, I'm not a one trick advertising pony. Facebook advertising is all you'll hear about with some entrepreneurs. I'll run you through SEO, Facebook, Twitter, SoundCloud, Spotify and more. Yes! There are comment sections under every video and I usually answer all questions within a few hours (24 hours tops). I didn't know anything about website building, SEO, Facebook ads, or Google analytics when I first got started. These skills can be easily picked up and implemented with the right tools. The book is a great resource and you can learn a lot from it. The video course is on another level though. Imagine learning years worth of business experience that took me from $20,000 to over $117,000 in just 46 videos AND getting to implement some of the same strategies yourself. If I had this course when I was starting, who knows how much further I'd be at this point. The course also comes WITH the ebook and audiobook. You can check out the course here. Absolutely. I stand behind my product 100% and I know these strategies work because I do them myself. However, seeing as this is a digital product, we ask that scammers or people who do not respect the work that was put into making these materials to not purchase the items. Doing this then asking for a refund without even doing so much as trying to implement the strategies is very hurtful to this small business. I can’t help you if all you do is browse around the book and not put into practice what I’m teaching. That being said, if you sincerely do not find the information helpful at all, you will have 30 days to request a refund. This book in no way, shape, or form guarantees you will earn 6-figures annually, monthly, weekly, etc. This is how I earned the income for my business.